I took up the post of Professor of Cultural Histories and Director of our Centre for Interdisciplinary Research in the Arts (CIDRA) at the University of Manchester in October 2004. Previously I was Professor of Cultural History and Director of the Raphael Samuel History Centre at the University of East London (1998-2004). A Fellow of the Royal Historical Society, I have held visiting professorships in the history departments of a number of leading American Universities including Johns’ Hopkins (2008), Columbia (2004), and Michigan (1991), together with major research fellowships at the Shelby Cullom Davis Center, Princeton University (2004-05) and the National Humanities Center (2001-02). 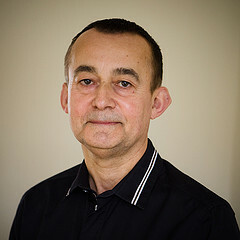 I am currently on the editorial board and advisory board of journals that include: Cultural and Social History; Twentieth Century British History; Consumer Culture; Journal of Cultural Economy, and I was a member of the Academic Advisory Board of the Centre for Contemporary British History, Institute of Historical Research, University of London from 2000 to 2010. Safe for Democracy: Constitutional Politics, Popular Spectacle, and the British Monarchy 1910–1914.